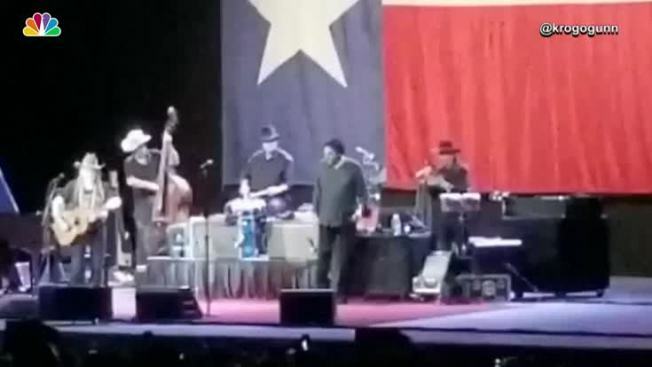 Country music legend Willie Nelson has canceled shows in Nevada and California after leaving a concert in San Diego after performing one song. A publicist for Nelson says shows scheduled this week in Rohnert Park, California; Las Vegas; and Laughlin, Nevada, have been canceled. The San Diego Union-Tribune reported that Nelson left his show at a San Diego casino on Saturday after the first song, "Whiskey River." Nelson, 84, keeps up a rigorous touring and recording schedule. His latest album, "Willie Nelson and the Boys: Willie's Stash Vol. 2" featuring his sons Lukas and Micah was released last year.